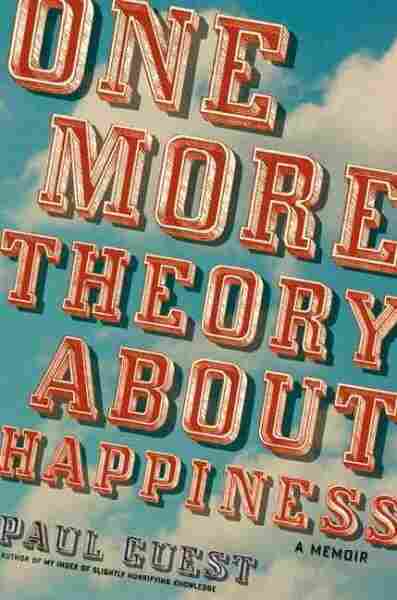 Booksellers' Picks: 15 Soaring Summer Reads Susan Stamberg gathers recommendations from booksellers Rona Brinlee, Lucia Silva and Daniel Goldin. 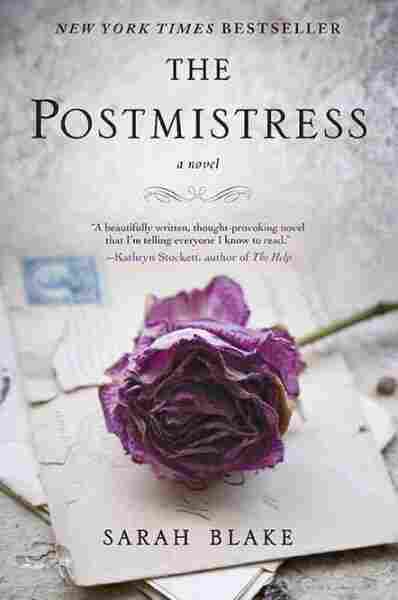 Their selections for summertime reading include books about small-town America, a polygamist father in over his head, and a postmistress in New England during World War II. 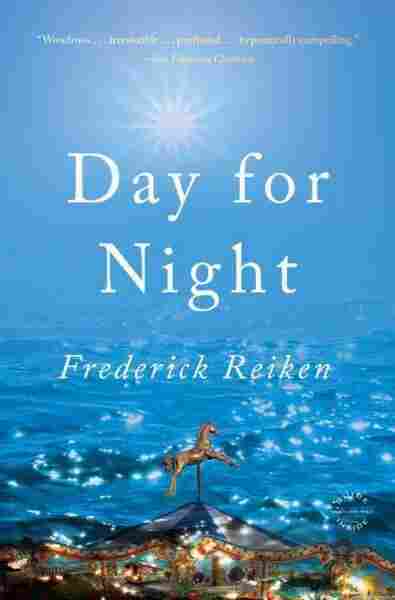 As days get longer and the sun's rays get stronger, books that are lighter and brighter stand a better chance of squeezing into packed beach bags and suitcases. But that doesn't mean summer books need to be weightless. 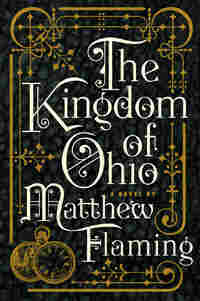 Finding the perfect balance in a single bound edition can seem impossible, but it's a challenge that's just right for independent booksellers like Rona Brinlee of The BookMark in Atlantic Beach, Fla., Daniel Goldin of Boswell Book Co. in Milwaukee, and Lucia Silva of Studio City, Calif.'s Portrait of a Bookstore. Among the three of them, they've managed to find 16 books that fit the bill. Showoffs! 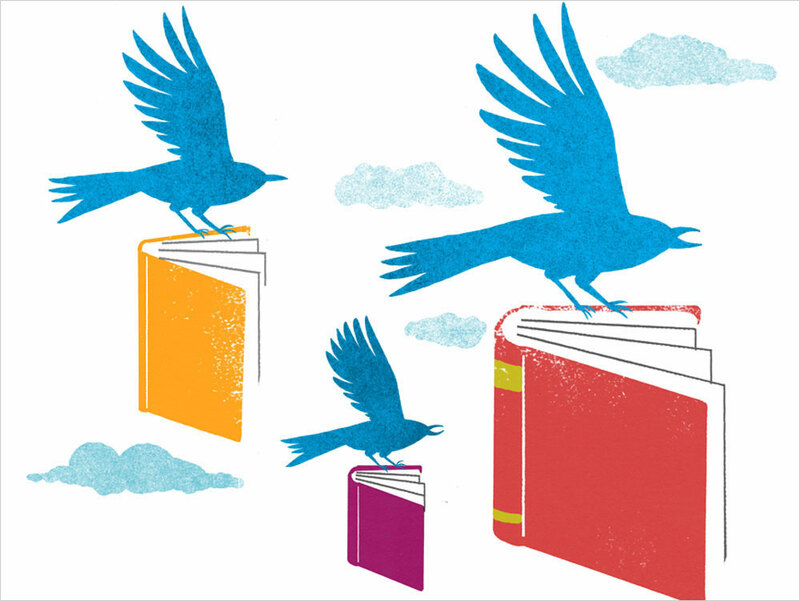 This summer's rays of literary sunshine come from 15 authors whose topics range from loaves of bread to small-town life in the Texas Hill Country. 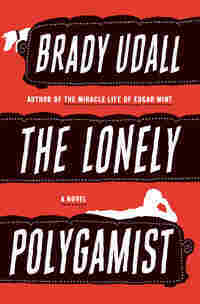 There's fiction from Sarah Blake, Hilary Thayer Hamann and Brady Udall, whose 600-page novel, The Lonely Polygamist, about a man with four wives who finds himself drawn to a fifth woman, was picked by two of our booksellers. 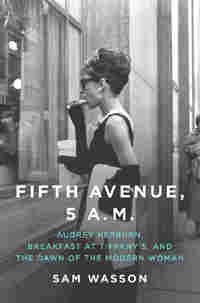 There's also poetry (and a memoir) from quadriplegic writer Paul Guest, the story behind the making of the movie Breakfast at Tiffany's, and a first-person, nonfiction book from Ander Monson that's definitely Not a Memoir. The title even says so. Recommendations from Lucia Silva, the book buyer at Portrait of a Bookstore in Studio City, Calif.
Ricky Rice is a sort-of ex-junkie working as a janitor at a bus depot in Utica, N.Y., when he's summoned to join a group of "Unlikely Scholars" at the mysterious Washburn Library in the backwoods of Vermont. A motley crew of mostly tender souls with shady pasts, the Scholars are faced with baffling protocols and cryptic assignments to investigate paranormal activity in service of some larger scheme. 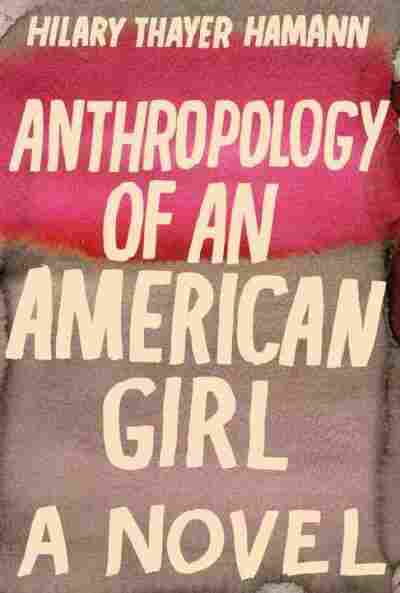 Flawed, but beautifully, and perhaps purposefully so, Anthropology of An American Girl is an emotionally haunting novel, entrancing from the first to the last of its 600-plus pages. 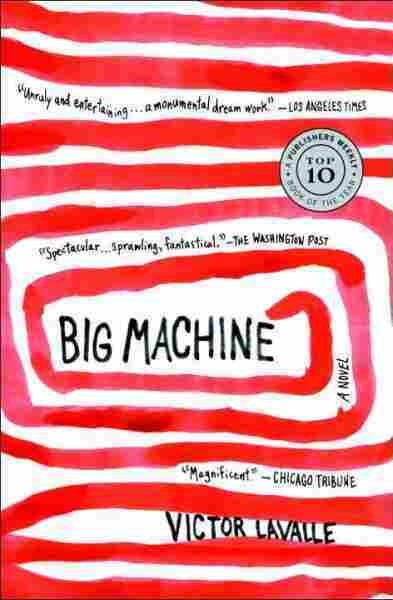 The arrestingly intimate first-person narration follows Eveline, a townie from East Hampton, from her senior year in high school in 1979 through the next five years of her life into a fast-lane, moneyed life in 1980s Manhattan. 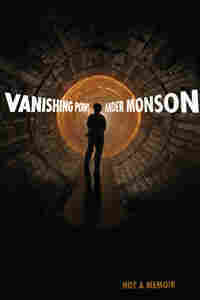 Ander Monson is one of my favorite writers and thinkers, and this is his "not a memoir" -- a series of explorations and meditations on the very idea of memoir, of self-representation, vanity, and memory. A piece on jury duty digresses into ideas about "truth" and "facts," Monson's own petty-criminal past, and the very nature and impossibility of justice. Another chapter takes us into the now-common obsession with "self-Googling," as Monson explores all of the other Anders he finds online. 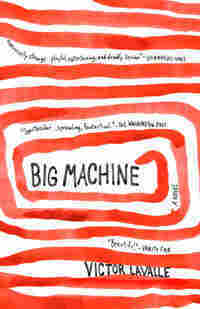 Other sections are assemblages pieced together from lines from other people's memoirs, both famous and infamous. 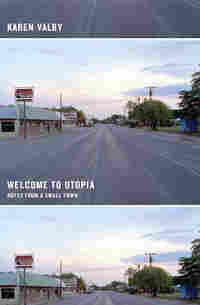 On assignment for Entertainment Weekly to find an American town untouched by popular culture, Karen Valby happened upon Utopia, Texas -- a town with "no stoplights, one constable, six real estate offices, and seven churches," no chain stores or fast-food restaurants, no movie theaters, bookstores, or video stores. 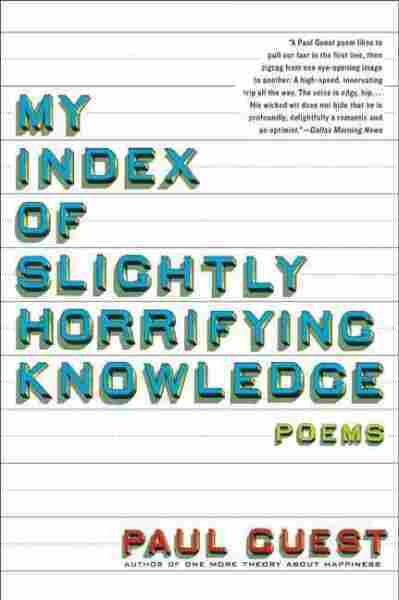 I lived with the opening poem from My Index of Slightly Horrifying Knowledge pinned to my wall for a year before learning that its author had typed it with his mouth. When he was 12 years old, Paul Guest broke his neck when the brakes gave out on a borrowed bicycle, leaving him paralyzed. 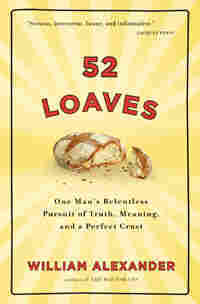 Recommendations from Rona Brinlee at The BookMark in Atlantic Beach, Fla.
William Alexander has such a fond memory of the perfect bread he once ate that he's now embarked on a quest to re-create this loaf, starting from scratch. When he says "from scratch," he means it. This journey begins with planting wheat. 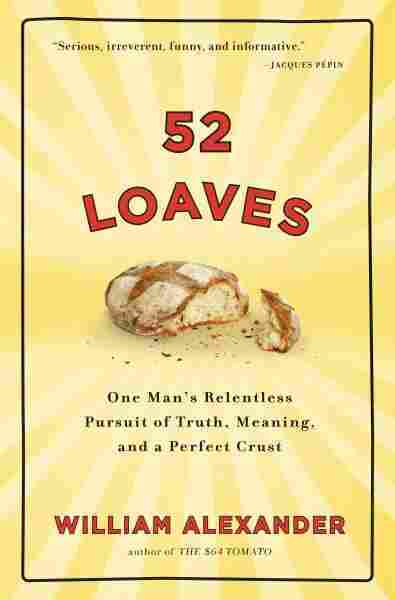 52 Loaves, by the author of The $64 Tomato, is a yearlong log of Alexander's personal and obsessive journey back to that perfect loaf. He starts the project at a weight of 196 pounds; his shelf of bread books weighs a mere 2 pounds. 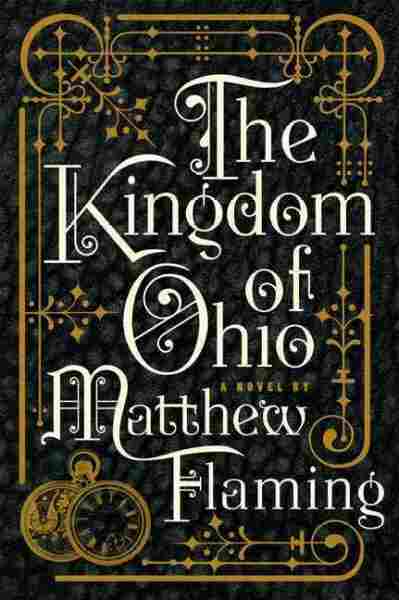 At the end of the year, the author tips the scales at just 201 pounds (not bad considering all the bread he consumed), while the books have expanded to 60 pounds. 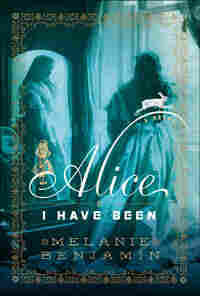 In this novel, 80-year-old Alice Liddell Hargreaves muses about her life, her relationship with Lewis Carroll (aka Charles Dodgson), and what it's meant to be his Alice from Wonderland. She remembers meeting the muse for Peter Pan and offering him advice on how to deal with such notoriety. As a young laborer helping to build the New York subway tunnels in 1900, Peter Force encounters a beautiful but tattered-looking woman who claims to be from a different time and place. Their growing friendship -- and ultimately love for each other -- lead the two on a path to save the world from the effects of time travel if a machine that makes it possible falls into the wrong hands. Flaming casts Nikola Tesla and Thomas Edison as rivals eager to claim this scientific invention, while financier J.P. Morgan covets its potential moneymaking possibilities. 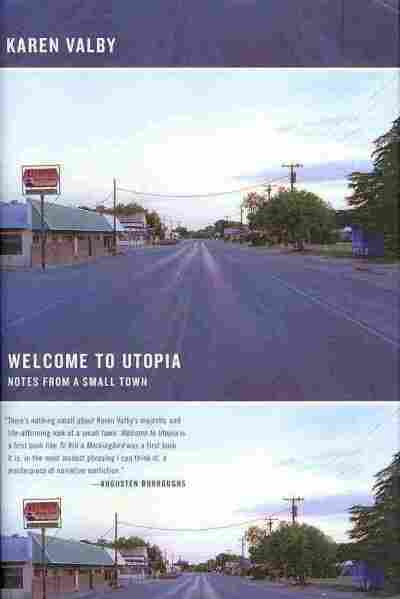 "To put it as simply as possible: this is the story of a polygamist who has an affair." This first sentence sends your mind racing in so many directions. Apparently, a family with one husband, four wives, and 28 children has the same dysfunctional issues as a family with two parents and two kids. There are more issues -- but more people to help resolve them. We expect the mailman to deliver the mail and the reporter to tell the story, especially when fulfilling these obligations helps provide order in a world gone awry. What if the decision to not comply with professional norms derives from compassion and a sense that not doing the expected is the kinder act? 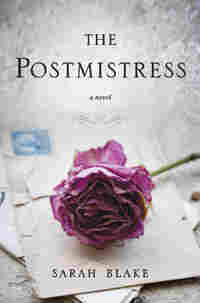 What if the postmistress decides not to deliver a letter, and the reporter decides not to turn in a story? 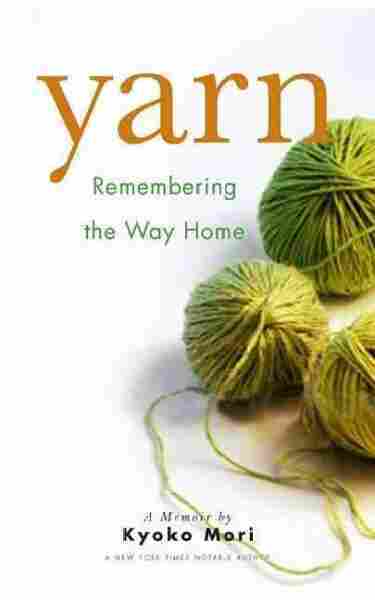 The thread of this novel connects people on both sides of the ocean during World War II -- those waiting at home and those fighting abroad. 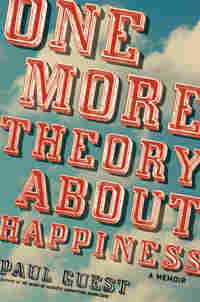 What they all share is a search for order and reasons -- explanations for horrific events and seemingly random acts. 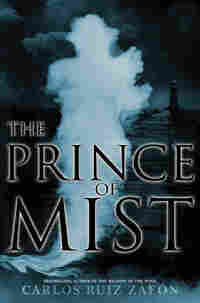 Although new to the U.S., The Prince of Mist is actually the first book written by the best-selling author of The Shadow of the Wind. 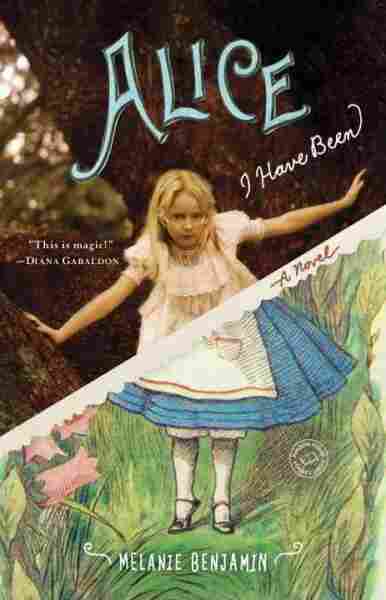 Technically a young adult book, it really is for readers "ages 12 & up" (emphasis on the "& up"), and it has all the fantastical and spellbinding elements of Zafon's adult novels. Recommendations from Daniel Goldin at Boswell Book Co. in Milwaukee. 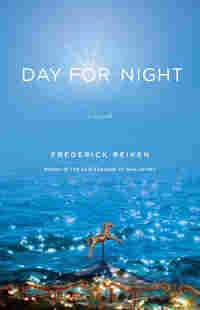 A few of the characters who bounce through the pages of Frederick Reiken's novel Day for Night: Forty-something doctor Beverly accompanies her scientist boyfriend, David, and his son on a trip to swim with manatees. David has leukemia and they are talking about Beverly adopting his son, but she hits it off with their guide, Timmy, and agrees to see his band, featuring the mesmerizing lead singer Dee. Jump to Dee and Timmy traveling on a plane to rescue Dee's brother Dillon, who is in a coma after a motorcycling accident in the Negev desert. Dee is panicked that evil family members are going to harm Dillon. 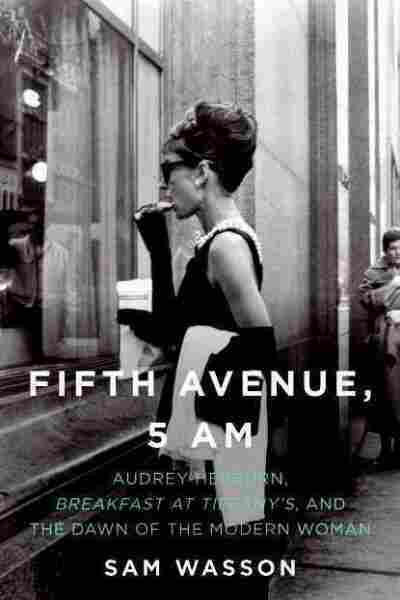 Timmy -- not her boyfriend but sleeping with her nonetheless -- is there for her; his only distraction is the mysterious woman seated next to them, who is reluctant to engage them in conversation. Jump to an FBI report on the whereabouts of Katherine Clay Goldman, a radical '60s fugitive. With four wives and 28 kids, Golden Richards has more than he can handle. Financial pressures have led him to take a job doing construction work on a brothel, and it's best not to mention it to the rest of the family. 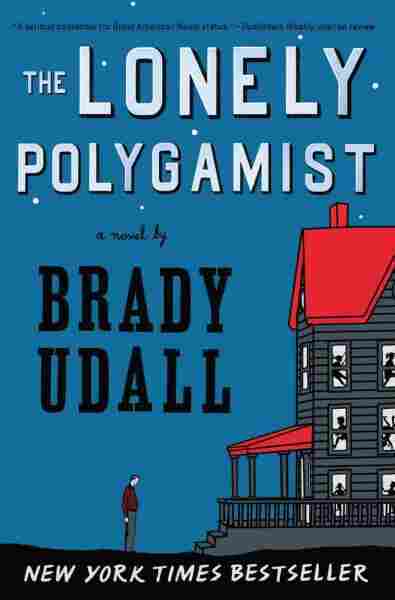 Brady Udall's sprawling story is told through Golden, one of his wives (the most distant one, yet to have a child with Golden) and one of his 28 kids, Rusty. Though Elizabeth Jenkins has written 12 novels and a notable biography of Jane Austen -- she's one of the founders of the Jane Austen Society -- most American readers remain unaware of her work. 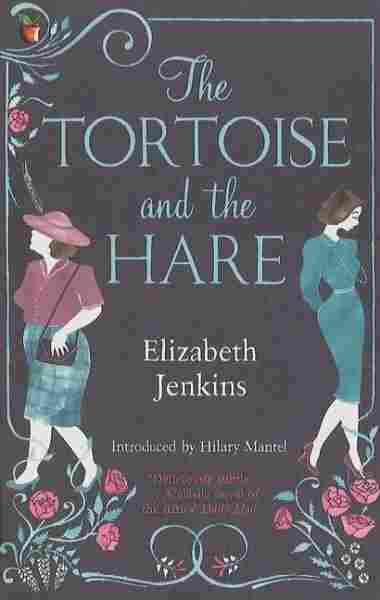 The Tortoise and the Hare is a delicious tale of life in suburban London in the early 1950s. The heroine, Imogen Gresham, is married to an older man, a barrister, and life with him and her somewhat sullen child is a bit unpleasant. Imogen almost expects her husband to find comfort in a younger woman, the way she pines after an old beau, a doctor who married a woman far younger than she, but instead, her rival for his affection winds up being Blanche Silcox, an older woman prone to fishing and fast cars. 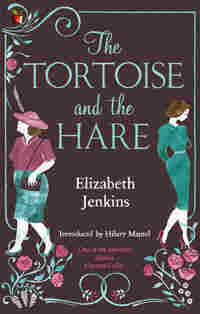 The results are both sharp satire and poignant character study -- just who exactly is the tortoise and who is the hare? 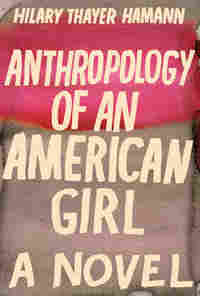 Jenkins is Barbara Pym with more bite, a more playful variation on Anita Brookner. And yes, you can see the Jane Austen influence as well. After leaving her family in Japan, alienated from her father, brother, and stepmother, Kyoko Mori made a new life for herself in the United States. Settling into the small city of Green Bay, Wis., she found herself one of the few foreigners in town, with little comfort from her husband. The hook to Mori's memoir, Yarn, is that she organizes the episodes in the book around knitting projects, some original and others taken from Elizabeth Zimmermann's Knitting Without Tears.